This week we've replaced Andrew with Rob from Cinema Eclectica for our Black Panther Special! Before we head to Wakanda we discover that Alex Garland wants to make a Swamp Thing movie and Brian Michael Bendis wants to make a Kitty Pryde film, and then it's time for the good ship 4-Panel set sail for Africa to spend some quality time with King T'Challa. With the release of Marvel's new blockbuster movie Black Panther, we discuss the film before sticking our heads into some quality (if suspiciously-themed), comics including Black Panther: Avenger Of The New World, The Defenders. 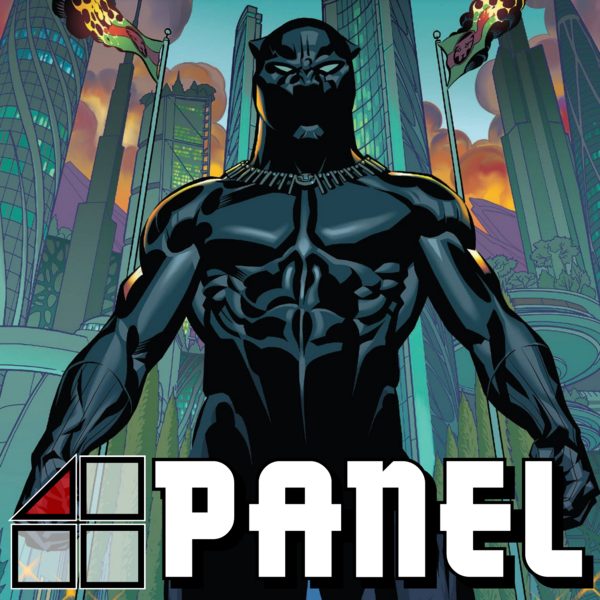 Black Panther: Panther’s Quest, Luke Cage, and Marvel Platinum: Definitive Black Panther. Thanks, and until next time, don't read anything we wouldn't!If you've enjoyed this podcast then please share us with your friends or leave us a rating on your podcast app of choice. You can also follow us on Twitter @TGS_TheGeekShow, or on other social media by searching for The Geek Show. If you want to show your support then head over to Patreon and give whatever you can, or you can head over to The Geek Shop and partake in some of our lovely wares.